This post is sponsored by Lane Bryant on behalf of their BCRF Collection. All opinions are my own. As you all know by now I am obsessed with everything Lane Bryant, especially their lingerie and loungewear line Cacique. 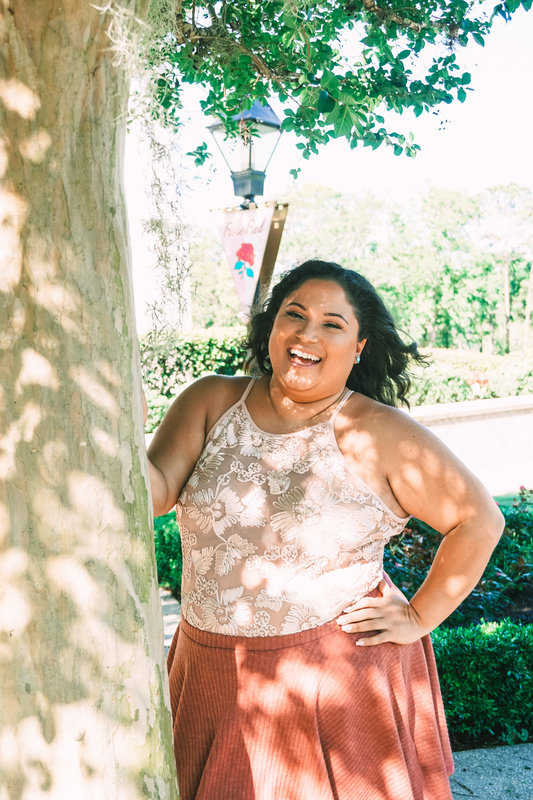 This month is Breast Cancer Awareness month, so I am super excited to be teaming up with Lane Bryant to talk about their BCRF Cacique + Livi Cause Collection. The collection includes nearly 80 pieces, from tech-packed activewear, to their lingerie and Livi Sports Bra. What’s so special about this collection is that 10% of every purchase goes directly to the Breast Cancer Research Foundation. In the US alone 1 in 8 women will get breast cancer, approximately 232,000 a year, and sadly 40,000 of those will die. However the Breast Cancer Research Foundation aims to lower those odds, ands it life changing research has driven the 5-year survivor rate to jump from 75% to 90% from 1980. 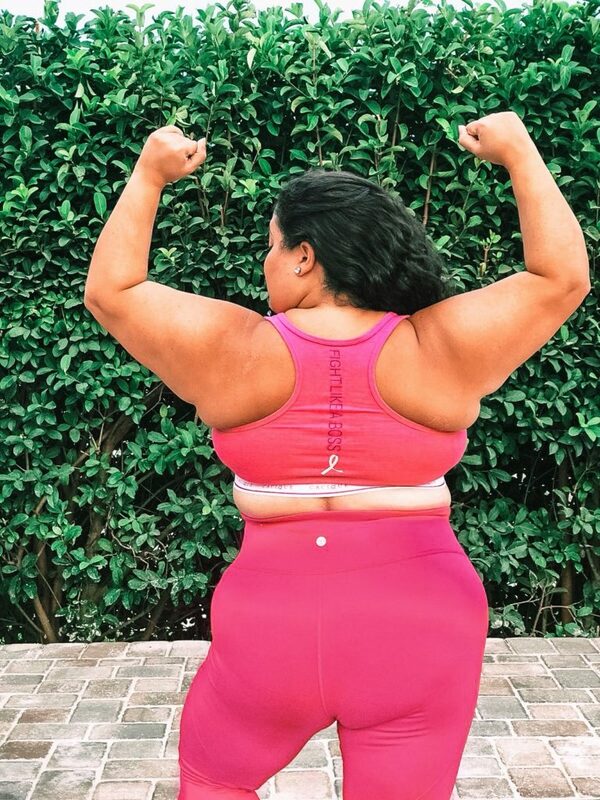 This year Lane Bryant aims to raise $650,000 for the foundation, and they are so close! As of today they have raised $505,757 so I invite you to check out their BCRF collection, make a purchase and help us reach that goal! In honor of this campaign, please keep reading below to learn 10 tips that will help you with early breast cancer detection! If you are over 40, get a mammogram. Early detection of breast cancer offers the best chance for a cure. The American Cancer Society’s recommends that you do an annual mammography screening after the age of 40. Where you go matters – choose a mammography expert. Many studies show that doctors who specialize in mammography are more accurate at interpreting the images when compared to physicians with less experience. Get your mammogram read by a doctor who specializes in reading them. Go digital. Centers that specialize in digital mammography are best for women with dense breast tissue and for women under age 50. Digital scans can do a better job of detecting cancer in these women than traditional film mammography. Don’t put off screening because of discomfort. A mammogram should never be painful. Fear that the exam will be uncomfortable is one reason women put off scheduling a mammogram. To reduce discomfort, try to schedule the exam after your monthly period, when breast tissue is less sensitive. You may benefit by taking an over-the-counter anti-inflammatory such as ibuprofen or acetaminophen before your mammogram. Above all, tell the mammography technologist about any discomfort you may be experiencing. They can work with you to make the experience more comfortable. Don’t put off screening because of fear. Most abnormalities found after a mammogram are not cancer. However, in some cases you may be called back for more tests, such as additional mammography or ultrasound screening, to confirm that the area on the screening mammogram is normal. That’s why you may be asked to return for a follow-up exam. Consider getting results while you wait. Particularly for your first mammogram, you may want to schedule your exam so you receive your results before you leave the imaging center. Or if you have found that you are frequently called back to your mammography center for a second scan, you can ask that your appointment include getting results to you while you wait. Know how your breasts feel normally. Your health care provider can show you how to do breast self-exam. If you notice a change in your breasts, such as a lump or swelling, skin irritation or dimpling, talk to your health care provider. In addition to mammography, have a regular breast exam by your health care provider. The American Cancer Society recommends that women 40 and over should receive annual clinical breast exams. Women in their 20s and 30s should have a clinical breast exam as part of a periodic health exam by a health professional at least every three years. Know your risk. If you have family members who have had breast cancer, especially a mother or sister, and if they had breast cancer before reaching menopause, tell your doctor, as your own risk of cancer may be higher than average. Some women at high risk may be recommended for annual MRI in addition to a screening mammogram. Try an online risk calculator. The Breast Cancer Risk Assessment Tool, designed by the National Cancer Institute, is a questionnaire to helps women determine their chances of developing invasive breast cancer.